3D signage is a great way to make your signage stand out literally! Choose from router or laser cut 3D letters, channel letter signs. Perspex can be used to give 3D letter signs extra dimension, or you can select illuminated 3D letters for a truly premium 3D signage. 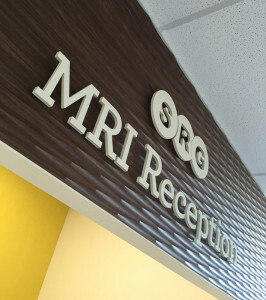 3D signs are ideal for commercial building signage, as attention-grabbing retail signs or for creating a strong brand identity in your office reception signage. We’ve created 3D signage for a huge range of purposes including a 32 metre long illuminated 3D sign for a launch event, which was a striking sight with huge 3D letters across the lawn of a mansion at night. 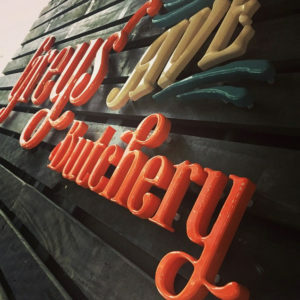 The most common method of producing 3D signs for interior or low-level exterior use is to router or laser cut your logo or company name from a chosen material. To create this 3D signage we use a CNC flatbed router or laser cutter. Your choice of material is endless, but typically we use materials such as acrylic (Perspex), Signex, ACM or metals such as aluminium or stainless steel. These substrates range in thickness from about 4mm to 25mm and allow for different depth 3D lettering. We can create a range of finishes for your laser cut signage or CNC sign by painting the back of clear acrylic or using brushed or polished stainless steel. Tell us about the look you’re going for!